Ah, Provence! | Hello Cool World! I had suggested that we might want to carry our rain coats with us, as the skies looked somewhat threatening in the distance. While we fortunately didn’t need them while walking, no sooner had we climbed back into the car that the heavens opened up in biblical fashion. I don’t think any of us had ever seen anything like it; apparently it was a record rainfall with a half a year’s rain being dumped within a few hours. It just went on and on. And so we crawled along the highway at 20 km/h. 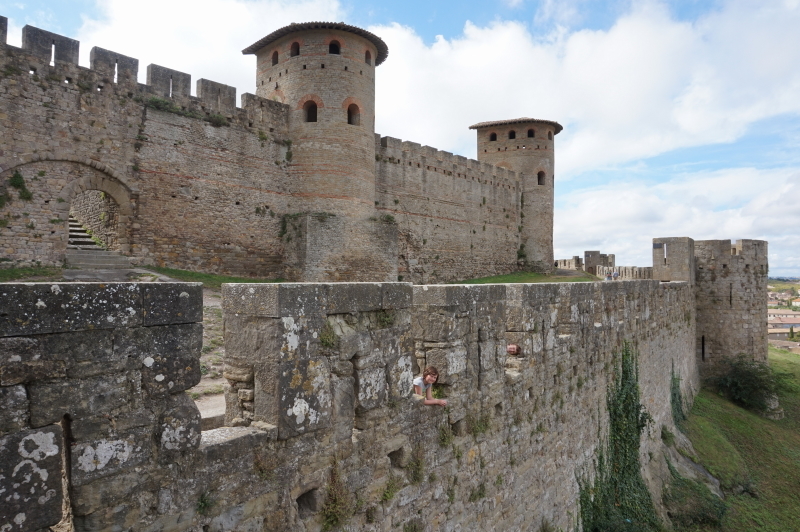 We finally got through and arrived at Avignon where we stayed with our next Servas hosts. 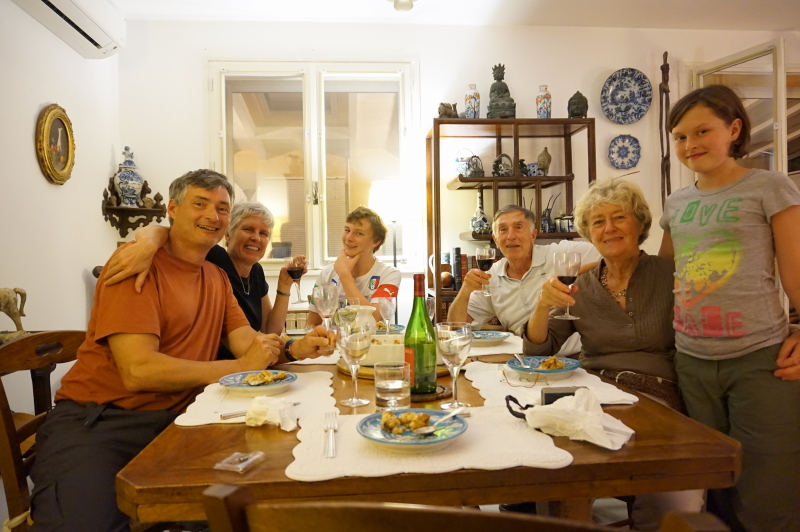 Paul and Perrine had visited us in Toronto last year (mom, you met them at the time) and so we were thrilled to be able to spend a most enjoyable evening reconnecting. Paul graciously served as our tour guide the next day. 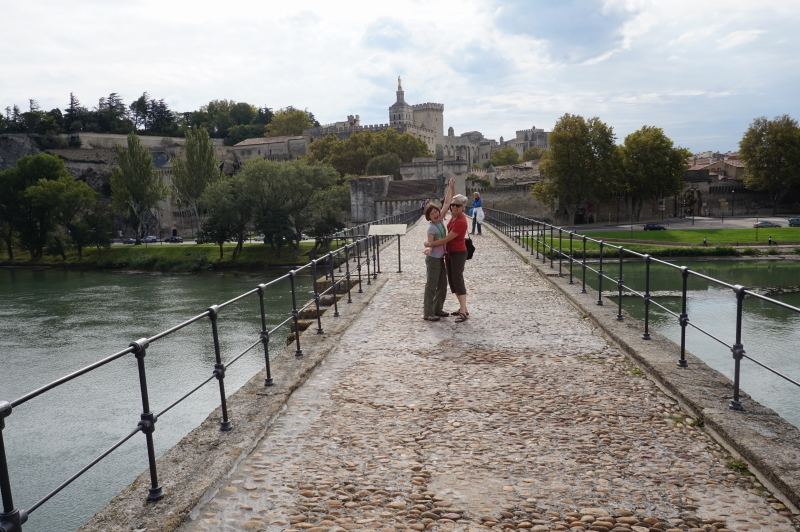 We climbed up onto the Pont d’Avignon and, of course, Eva and I danced a little jig together. We then walked around the Palais des Papes, the residence of the popes when they temporarily lived outside of Rome in the 1300s. For all the time that I have spent in Provence, I had never visited either of these two places and so thoroughly enjoyed our brief stay. 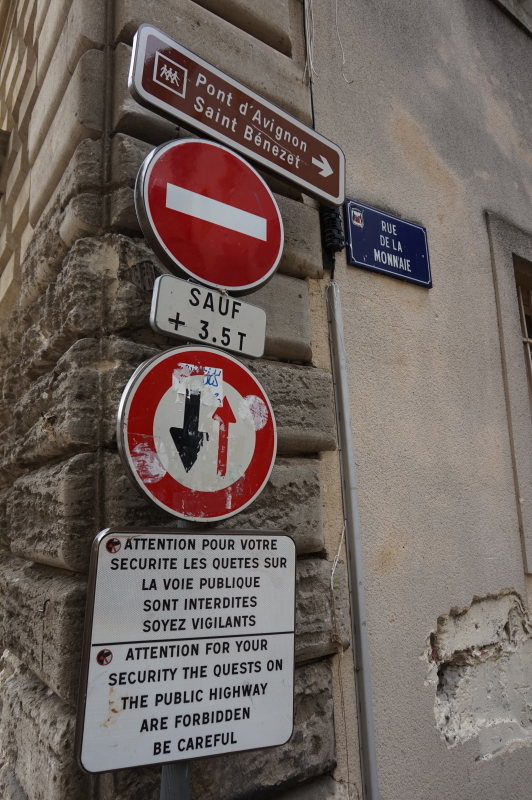 On leaving the square in front of the Popes Palace, I spotted a curious sign which gave us a good chuckle for the day. Good thing we are not on any quests on this trip! 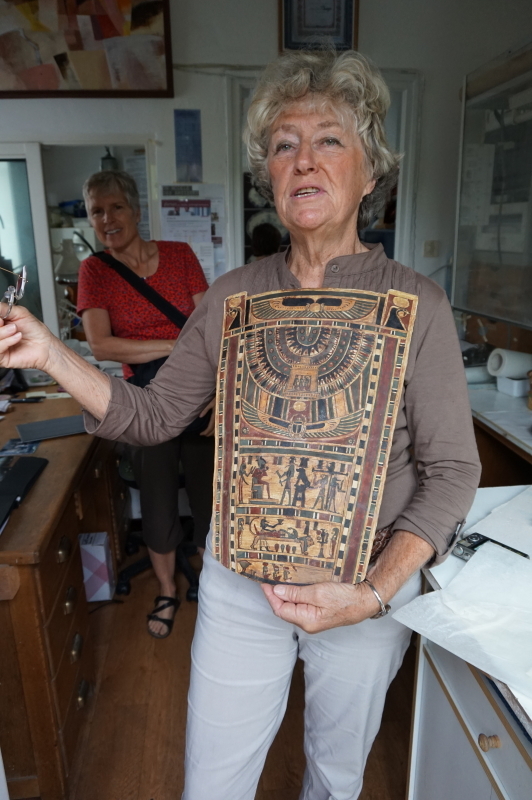 Just before leaving, Perrine showed us a restoration piece she was working on. 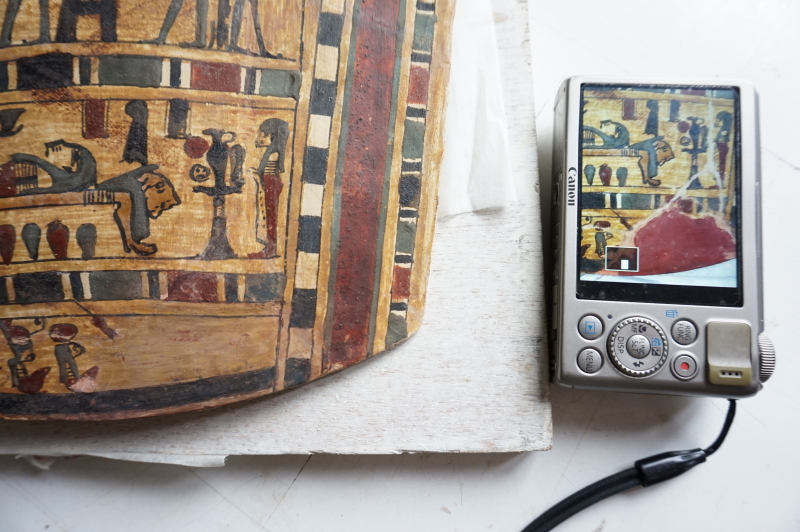 She is an expert at pottery and ceramic restoration and was working to repair a 4,000 BC Egyptian sarcophagus. It was absolutely stunning – so talented! 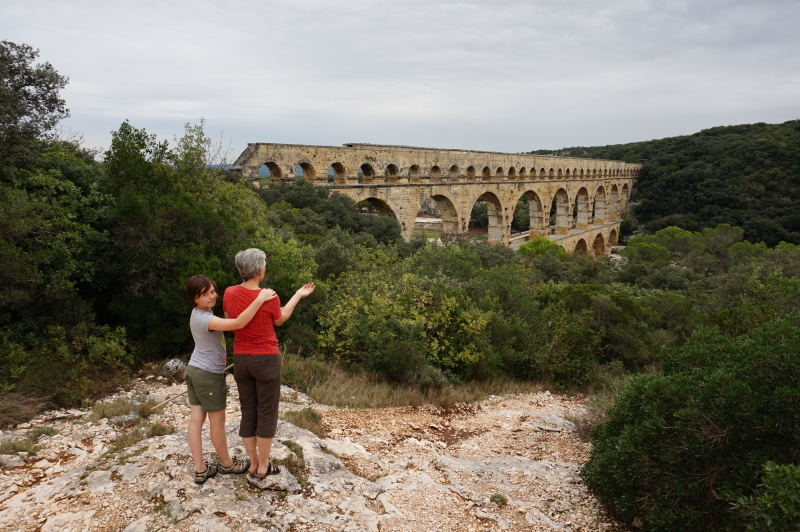 We backtracked a little to visit the Pont du Gard which is yet another UNESCO World Heritage site. Part of a 50 km-long aqueduct system built by the Romans to deliver water to Nimes (or Nemausus as the Romans knew it), the Pont du Gard is a huge bridge that forms part of the system. Amazingly, over the whole length of the aqueduct, it only drops 17 m in height and the Pont itself only declines 2.5 cm. Again, another awesome sight and a good learning for the kids. Pont du Gard: It’s all water over the bridge. An appropriate choice of charity, Wish we could be there. Does bring back fond memories. 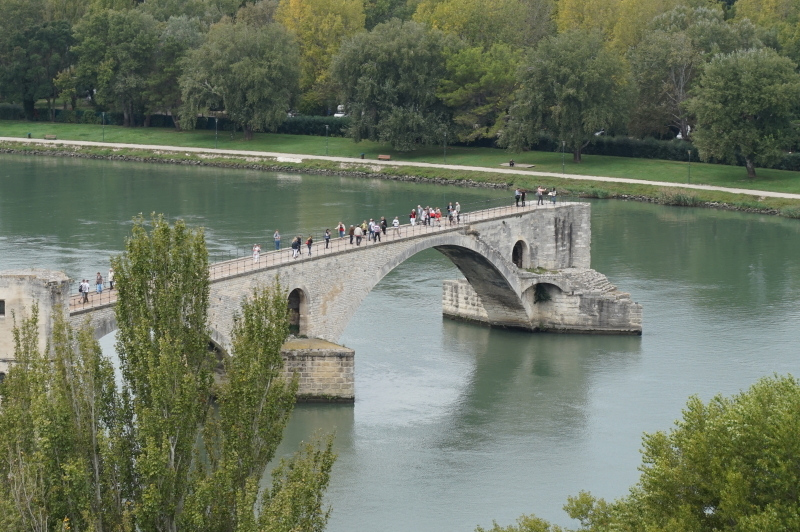 Lola and I sang Sur le pont, too. 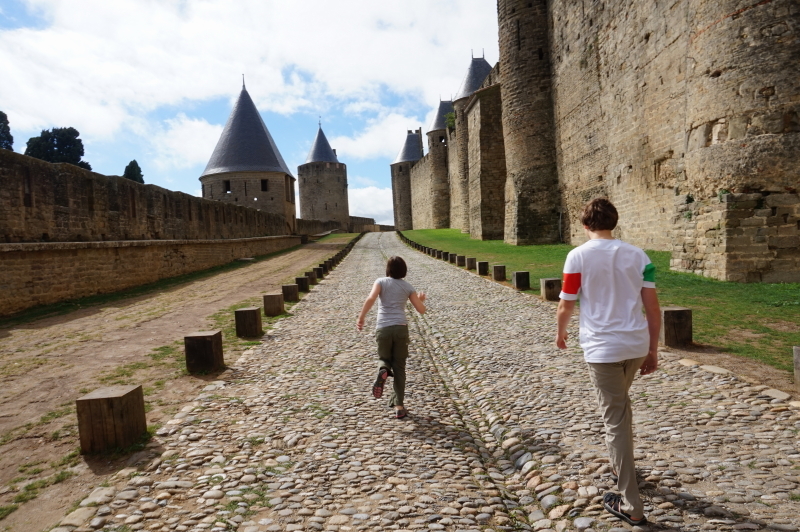 Way back when… Did you make it to the look out on top of the church outside the walled city in Carcasonne? Spectacular view of the canal, another UNESCO site. Hope you enjoyed tons of bread, cheese and lovely reds while in the south! Missing you lots and enjoying your blog.